A day after Election Commissioner (EC) O.P. Rawat said that winning the elections at all costs is the new normal, the Congress, backing the statement, suggested that the EC should initiate reforms regarding the electoral finance reforms. 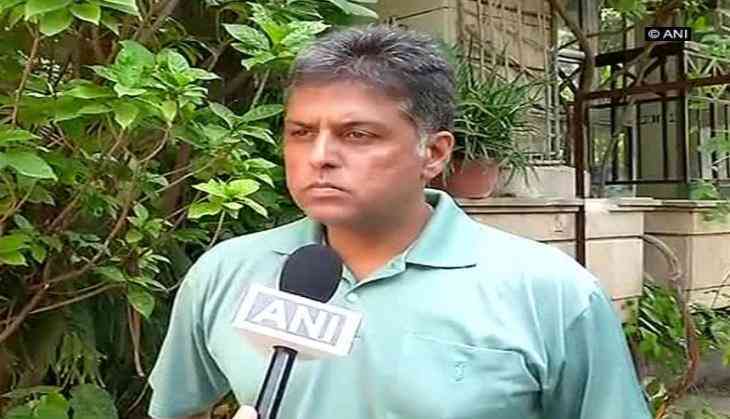 Speaking to ANI on the same, Congress leader Manish Tiwari further said that the laws made by the current government regarding the funding to political parties need to be looked into. "The kind of laws which this government is enacting- making corporate donations anonymous through the process of bonds, removing the cap on the amount of their net profit, which a company can donate to an political party- are all retrogressive steps in their entirety," he said. He urged the EC to kick-start a debate in the country to look into the electoral finance reforms. Yestreday, the Election Commission stated that winning the elections at all cost, without ethics, is a new normal in politics. "Democracy thrives when elections are free, fair and transparent. However, it appears to a cynical common man. We have been scripting narrative that places maximum premium on winning at all costs to the exclusion of ethical considerations. Winning the elections at all cost, without ethics, is new normal in politics," Election Commissioner Om Prakash Rawat said, while addressing the press conference. He also stated that it is this 'creeping new normal of political morality' that should be a target for the exemplary action by all the political parties, politicians, media and civil society organisations, and constitutional authorities. Speaking on Amit Shah's statement of securing 350 plus seats in the 2019 elections, Tiwari took a dig at the BJP President and said that he might be left only 35 seats in 2019. "With the growing tension at ground level in the country, I think Mr. Shah will be left with only 35 seats in 2019," he said. Are Emma Stone, Andrew Garfield giving their romance another try? READ NEXT >> Are Emma Stone, Andrew Garfield giving their romance another try?